Reflection on the gospel reading: Jesus tells John not to prevent others from speaking truth even if they are not followers of Jesus. If God is God, God is everywhere, and God’s hand appears in unexpected places–in the work of religious and non-religious people, atheists, agnostics, and people who are simply apathetic about the possibility of more than we can sense. Certainly we Christians always hold our faith in Jesus close and do not compromise what we have received through the teachings entrusted us, but God is too big for anyone of us or our systems to comprehend. For this reason, we train our hearts to encounter the truth in new and surprising ways and in places we never anticipated we would find it. Saint of the day: Alfred Pampalon was born on November 24, 1867, in the city of Levis, near Quebec City. Even at an early age, people recognized his virtue. As a student, Alfred radiated goodness, loved to laugh and joke, and excelled at sports, becoming a recognized athlete among his peers. He was a role model for his fellow students who, instead of feeling inferior, looked up to him and showed him great affection. Alfred desired to become a Redemptorist priest and after entering, traveled to Belgium to study for the priesthood. 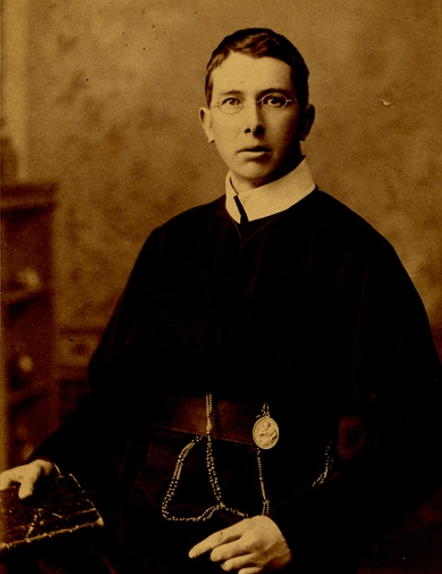 On October 4, 1892, he was ordained a priest. 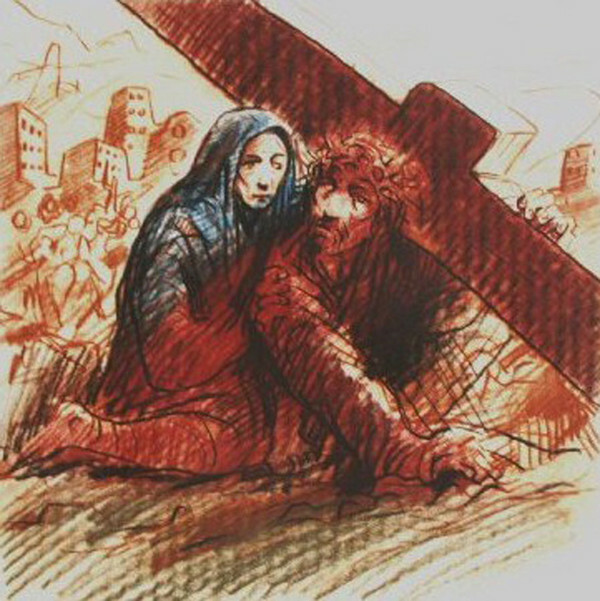 He served the poor and the suffering, leading people to love God and find peace. He was both gentle and personable. He loved the Eucharist. 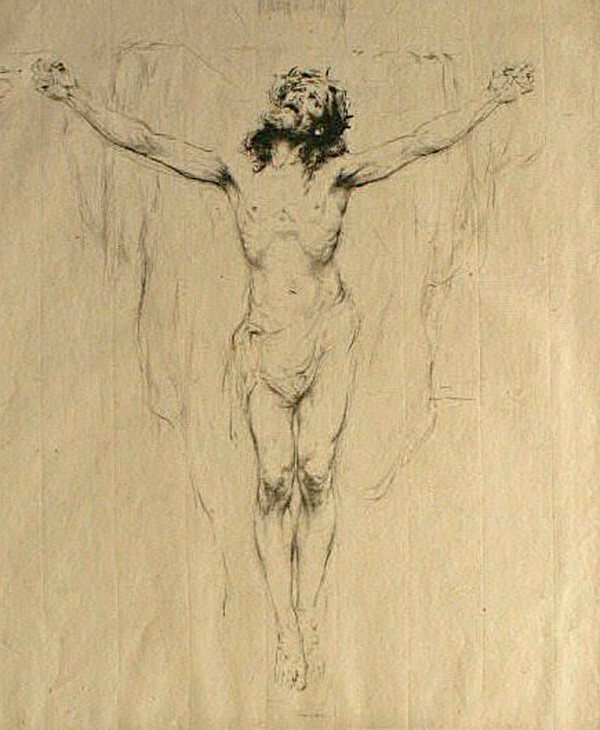 He was nicknamed the “Lamb of God” because of his spirituality. Still a very young man, Alfred manifested symptoms of tuberculosis. He suffered from tuberculosis for two years when on September 4, 1895, he left Belgium to return home to Canada. At the Basilica of Saint Anne de Beaupre, although his health was failing rapidly, Alfred was able to preach, hear confessions, baptize, act as a spiritual director, and give comfort to the poor for a few more months. By August 1896, dropsy affected his legs, his body, and even his face. In September, his body ached all over, and he could find no comfortable position to rest in. He still managed to show kindness to other sick Redemptorists with a few words and a smile. On the evening of September 29, 1896, the dying priest, remaining perfectly lucid, prayed continuously. Suddenly, he sat up straight, and in a strong healthy voice began to sing the Magnificat. A little before 8:00 on the morning of September 30, 1896, he opened his eyes and looked up smiling, dying at the age of 28. Alfred was declared venerable in 1991. Reflection on the gospel reading: It is unsettling, I think, for many Christians to read this parable, because a version of Christianity has taken root in America that is adverse to the implications of what Jesus is saying here. 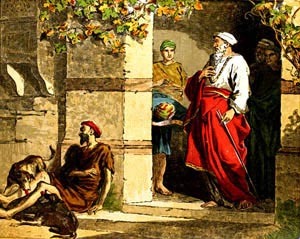 The rich man in today’s parable may have worked very hard for the things he had; he may have sacrificed much to obtain his position; he probably loved his wife and children; and perhaps he was a faithful participant in Sabbath prayers at the synagogue and rigorously devoted to adherence to the Law. Why should God not reward such a man? Why would God prefer the worthless homeless man who apparently never produced anything to benefit society–perhaps never lifted a hand to do a bit of work? It may not seem fair to many people who work hard for what they have in life, but the scriptures are clear that God loves the poor–not because they’re good or productive, but simply because they’re poor. They have a leg up in the kingdom of God. As for the rich man, whatever merits arise from his faithfulness to his duties, he did not know what justice means. He did not know what love means. He did not know what a truly human society means. He did not know what religion means. Jesus came to turn the world upside down, and it is indeed unsettling for us that many who are first now will be last, while many who are last will be first. 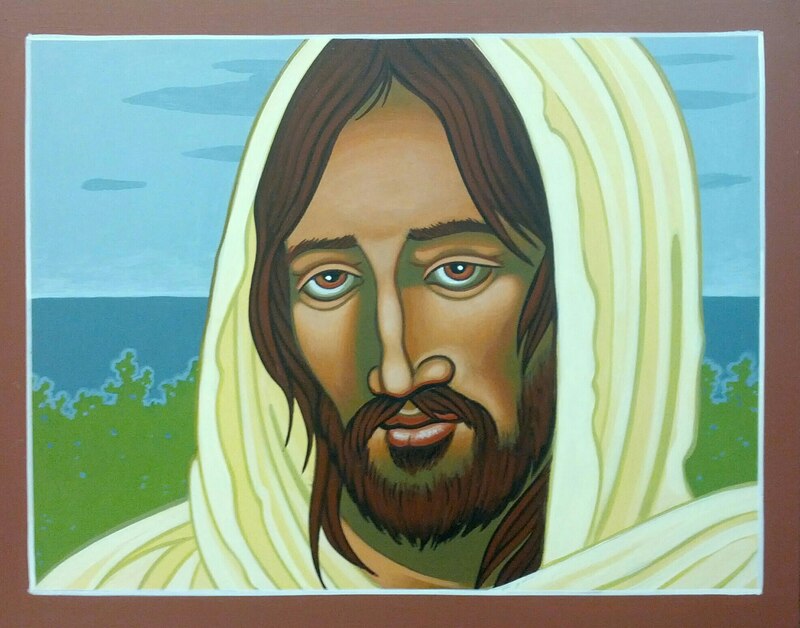 Reflection on the gospel reading: This passage begins with Jesus praying in solitude. 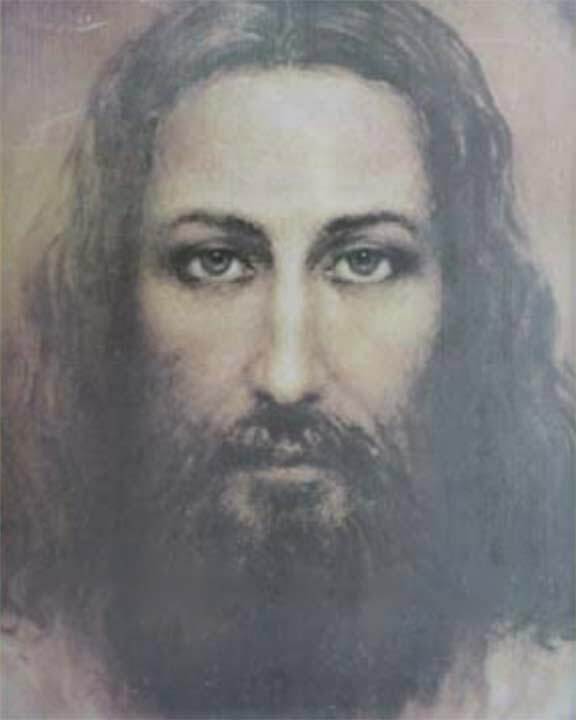 In the stillness, as evidenced by the question Jesus poses to his disciples when he emerges from his meditation, the Lord sits with the issue of who he is. 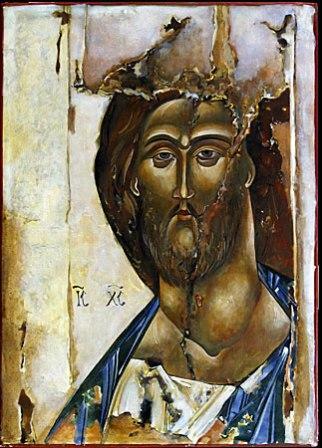 When we still all the interior voices and become empty in the presence of God, in a seamless embrace of I and Thou, we are stripped of all our fantasies and illusions, and naked before God, there is nothing in us but the one whom God sees completely, honestly, lovingly. In surrendering our identity to God, we discover our identity in God. Reflection on the gospel reading: In the gospel, Herod has been hearing about Jesus and the wonders he works. Herod seeks an opportunity to see the Lord but he seeks the Lord with neither love nor faith in him. 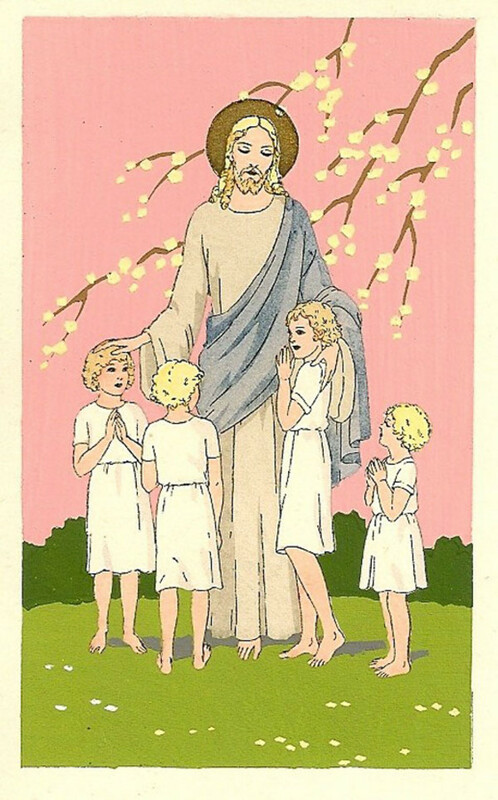 Saint Richard of Chichester prayed, “Day by day, dear Lord, of thee three things I pray: To see thee more clearly, love thee more dearly, follow thee more nearly, day by day.” Trying to see Jesus in the complete gospel sense–in the sense that Richard prayed to have–calls us to faith, love, and discipleship. It is not in looking at Jesus as an amusement or distraction, but in patterning our lives on the Lord’s, that we come to see him. Saint of the day: Adelė Dirsytė was born in April 1909 in Lithuania, the youngest child of the farmers Antanas Dirsė and Agota Kagaišytė. Her parents instilled the value of industriousness in their three daughters and three sons. Of the six siblings, only Adelė and her brother Jonas received higher studies. In 1928, Adelė became a philosophy major at the Vytautas Magnus University. She also became engaged in the activities of a Catholic federation and gave lectures in meetings of Catholic organizations. She left the university in 1932 without finishing her degree. The university’s faculty council, however, bestowed it on her in 1940. Once out of the university, Adelė became more actively involved in a variety of Catholic organizations. When the Soviet occupation of Lithuania began in 1940, Adelė moved to Vilnius and worked as a teacher in a secondary school for young women. 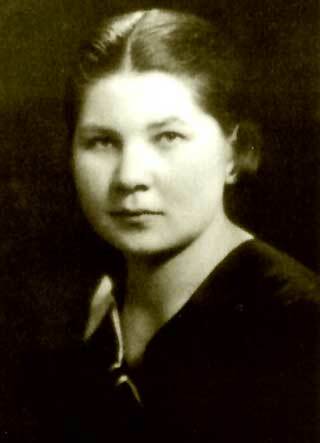 In the following years of German occupation during World War II, she worked as a German teacher in a trade school and in an adult education school. She ministered to students and, together with a priest, organized relief for those who were in need. She assisted in hiding Jewish people from the Nazis. After the Soviets reoccupied Lithuania in 1944, an organized resistance struggled for Lithuanian independence. Adelė took part in the resistance as she worked to strengthen her people’s religious and national traditions. On March 6, 1946, she was arrested for hiding and abetting a person who had escaped from Soviet security arrest. She was tried, convicted, and sentenced to 10 years in a concentration camp and five years of restriction of her rights. Adelė was moved from camp to camp. Despite the hardships and their effect on her health, Adelė organized her fellow inmates to have discussions, celebrate religious feasts, and recite the rosary. She even at one point smuggled the Eucharist she received from a priest to her fellow inmates and wrote Prayer Book of Girls Exiled in Siberia. It was a small handwritten book of forty pages, sewn together and bound with fabric covers decorated with ornaments. The prayers were rewritten and amended with new ones; eventually the book was smuggled to the United States where it was published. When tortured by prison guards for her faith, she encouraged other prisoners who were concerned about her treatment to pray for the guards. In the late autumn of 1953 on her return from work, Adelė was taken to the punishment cell for a week and subsequently to a mysterious location for the duration of winter. Mentally broken, Adelė was brought back to her camp the following April. Toward the end of 1954, Adelė was moved to the section for the mentally ill in the camp hospital. A death certificate from the hospital claimed that she died on September 26, 1955. 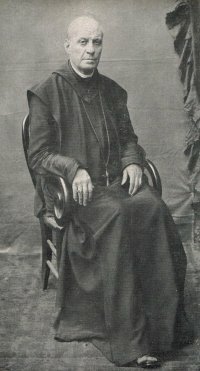 With the memory of the teacher’s martyrdom persisting even after the democratization of Lithuania, the archdiocese of Kaunas began in 2000 to work for Adelė Dirsytė’s beatification. Today Luke comes to the end of his section dealing with wealth, the difference between the rich and the poor. In this story, we see the rich man in splendor and Lazarus as a wretched beggar with sores and starving at the rich man’s door. 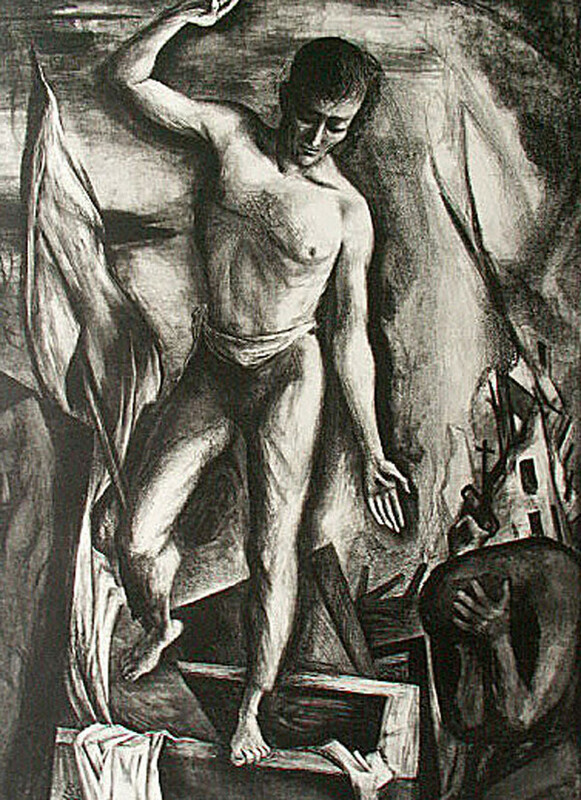 After they both die, there is a role reversal with the rich man in torment and Lazarus in Abraham’s bosom. What is interesting here is the fact that no actual reason is given for the man being in torment other than he was rich and led a rather comfortable life. However if we look closely we can see that the seeds of the problem are visible. The rich man calls out to Abraham to send Lazarus with water for relief, and later to send him back to life to warn his brothers. What happens here is that even in the next life the rich man never acknowledges Lazarus as a man but as some kind of messenger or servant to be used for his own purposes. What is different from when he lay at his doorstep in life? He is just there, something like furniture to be used when needed. His wealth, his comfort were all that were important to him. The past prophets like Amos had warned of the tantalizing effect of wealth and comfort. If our faith and belief doesn’t prepare us, what will. Jesus has always preached that it wasn’t appearances or how we looked but who we were as persons. Even Abraham in the middle of the desert sat at the entrance of his tent and beckoned all who passed by with his hospitality and invited them to rest. He never asked who they were or where they were from. Such welcome must have been refreshing in an environment so difficult for traveling. In the early times after Christ and today, Christians celebrate the Eucharist with everyone being invited to share at one table. Today we welcome all to Christ’s table with no turning back of anyone who accepts Christ’s forgiveness and believes in the receiving of His body and blood. Each person who enters is unique and another link in a life to our own journey to the next life. What we have and give and share will always make us a better person. With the times seemingly dividing the so-called haves and have-nots today, it is incumbent that we not be overly consumed by what we have and accumulate. As the world seems to shrink today, we must take to heart the lesson of the rich man. Jesus didn’t really leave anything out. The man didn’t “do” anything wrong but actually his fault was in what he did not do. This I think is our lesson today. Look about, see the world, the beauty, and all there is, especially those we pass and encounter. Salvation comes to very few for one big magnanimous act, such as a martyr. Salvation is faith played out day-to-day, task to task person to person. It can really be a joyful thing if we are joyful. 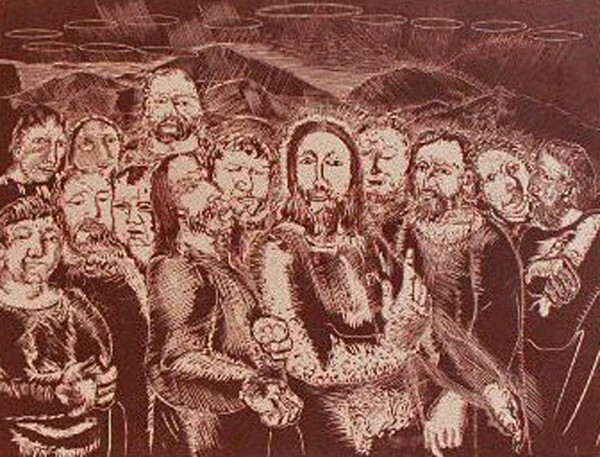 Reflection on the gospel reading: Like the Twelve, we are called. We are called to loose every demon and proclaim liberty to captives–to set the addicted free of whatever enslaves them. We are called to heal and promote wholeness wherever sickness and woundedness abide. We are called to live simply and take no more than we need for our journey. We are called to trust that God will provide for our needs. We are called to carry the gospel with us in what we say and what we do. Saint of the day: Born in 1818 to Sicilian nobility, Giuseppe Benedetto Dusmet was the son of Marquis Luigi Dusmet. 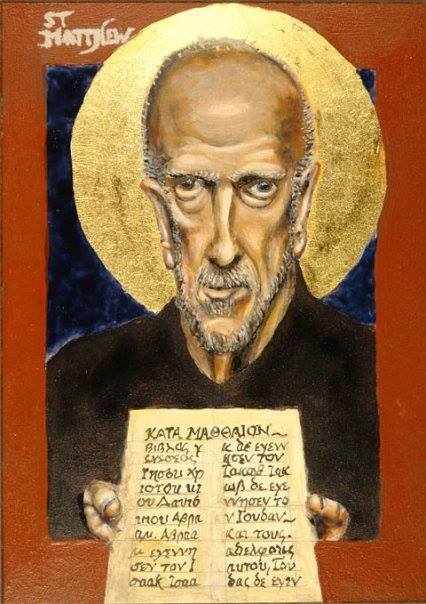 Educated at the abbey of San Martino delle Scales from when he was five-years-old, he became a Benedictine monk who made his formal vows on August 13, 1840 at the abbey of Monte Cassino. 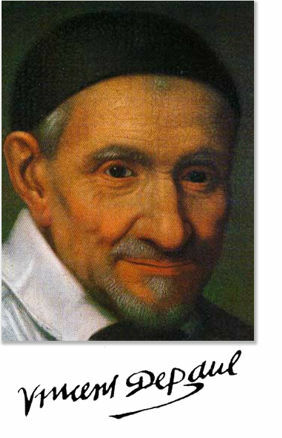 He taught philosophy and theology in Benedictine houses. A priest Giuseppe was prior of the monastery of San Severino, Naples from 1850 and became prior of the monastery of San Flavio, Caltanissetta, Sicily in 1852. From 1858, he was abbot of the monastery of San Nicolo l’Arena, Catania, Sicily. The monastery was later confiscated by the state soon after the founding of the kingdom of Italy. In 1867, he came archbishop of Catania, Sicily and a cardinal in 1889. He was beatified in 1988. Reflection on the gospel reading: Jesus in this passage of the gospel is not criticizing his family. Whatever his sense of his other family members, we know that elsewhere in Luke’s gospel, the evangelist praises Mary’s yes to God’s reign. Jesus in this passage instead makes the point that the connections we share with one another through our fidelity to the word of God–how we live it out in our daily lives–are what makes us members of Jesus’ family. Saint of the day: Born in Buenos Aires in April 1867 of Italian immigrants from Genoa to Argentina, Victorina Rivara-Perazzo, received her religious education along with her sisters and brothers from their mother. Victorina had a desire to enter the convent, but various difficulties interfered, and in the end, she accepted these obstacles as signs that God intended for her a different vocation. She married the handsome young Rafael Perazzo in September 1887 when she was 20-years-old. Six years later she gave birth to her first son, Rafael; this birth was followed by the births of a son Rodolfo and a daughter Maria Angelica for a total of three children born to the couple. Rafael was a good provider, and when Victorina’s husband died 38 years after he and Victorina married, he left her in a financially comfortable condition. Victorina, for her part, was a good wife, but when her husband died she embraced a simpler lifestyle modeled on the pattern of Don Bosco. Having been educated by the Salesian Sisters, Victorina nurtured a great devotion by John Bosco. So with her daughter, Maria Angelica, she traveled to Europe in 1934 to participate in his canonization. Like Don Bosco, Victorina worked with the poor and especially with children using her wealth to establish schools for indigent children. She lived constantly anchored in God, receiving communion every morning, and practicing faith, hope, and love in her day-to-day life. Even though the good economic situation left to her by her husband might have prompted others to live a life of vanity, she displayed a sweet and humble disposition, speaking little. She died at the age of 90 on September 24, 1957. Her cause for beatification was opened in 1989. 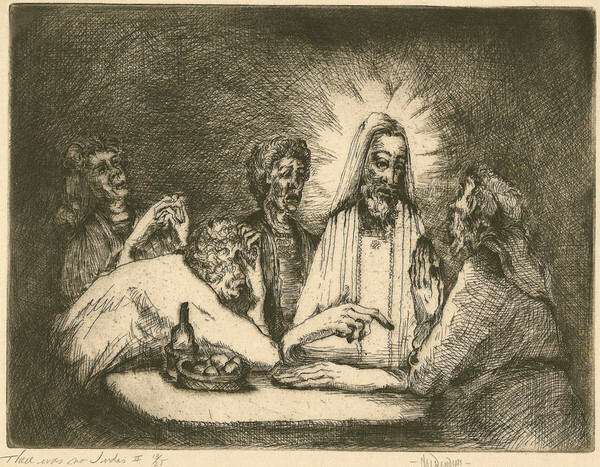 Reflection on the gospel reading: Jesus counsels us to pay attention to how we hear his word, because passivity in hearing is not the goal; what we hear must bear fruit in action, since the one the who has will get more, and the one who has not will have what he appeared to have taken away. For this reason, how we listen to Jesus has to be a hearing which understands, accepts, assimilates, and puts into practice. What we hear and assimilate, has to be passed on. Saint of the day: The Servant of God Salvo D’Acquisto was born in October 1920 in Naples, Italy. He was the eldest of eight children, three of whom died in infancy and another sibling who died as a child. His father worked in a chemical factory. He left school at the age of 14, as was customary for working-class boys at the time. 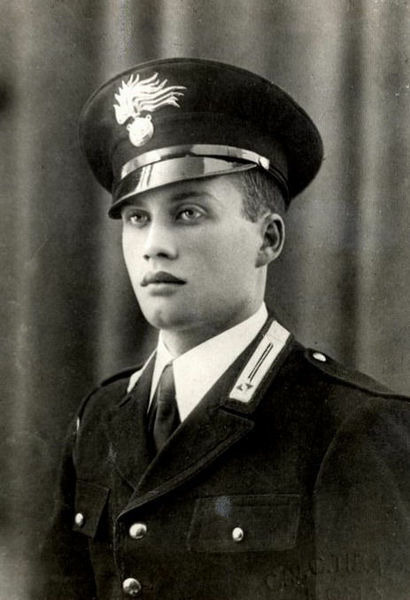 He volunteered to join the Carabinieri in 1939 and left for Libya the next year, a few months before the start of the Second World War. After being wounded in the leg, he remained with his division until he contracted malaria. He returned to Italy in 1942 to attend officer school. He graduated as a vice-sergeant and was assigned to an outpost in Torrimpietra, a little rural center on the Via Aurelia not far from Rome. In July 1943, Benito Mussolini was overthrown, and the new Italian government negotiated secretly with the Allies to switch sides. An armistice was officially announced on September 8, 1943. Around that date, a division of German SS troops camped near an old military installation previously used by the Guardia di Finanza, in the vicinity of Torre di Palidoro, which was in the territorial jurisdiction of the Torrimpietra station. On September 22, these German soldiers were inspecting boxes of abandoned munitions when there was an explosion. One died and two others were wounded. The commander of the German division blamed the death on “unnamed locals” and demanded the cooperation of the Carabinieri, at the moment under Salvo D’Acquisto’s temporary command. The next morning, D’Acquisto, having gathered some information, tried in vain to explain that the death was an accident, but the Germans insisted on their version of events and demanded reprisals. On September 23, 1943, a Thursday, a day of special Eucharistic devotion, Salvo went to confession, mass, and communion. The same day Germans conducted searches and arrested 22 local residents. An armed squad took D’Acquisto by force from the station to Torre di Palidoro, where the prisoners were gathered. Under interrogation, all of the civilians said that they were innocent. When the Germans again demanded to know the names of the responsible persons, D’Acquisto replied that there were none: the explosion was accidental. The Germans ridiculed, insulted, and beat him, and tore his uniform. The Italian prisoners were ordered to dig a trench, some of them with their bare hands. The process of digging their own mass grave reduced many of them to tears. Only Salvo kept calm and tried to reason with the SS, but it was in vain. It was only at 5:00 PM that he at last succeeded in persuading the SS to let their prisoners go. One of the prisoners stayed to see the outcome, while the others fled in gratitude. He was a 17-year-old boy, and the sole witness of Salvo’s death at the hands of the SS firing squad. For Salvo had convinced the Germans that he was responsible for the imaginary crime and saved the lives of the 22 hostages in so doing. “You live once, you die once,” he had told the boy while they had been digging the trench that afternoon. His cause for beatification as a martyr opened in 1983. Reflection on the gospel reading: Jesus in today’s gospel discusses what has been given to us from God in trust for one another. We can love God and maintain an attitude of freedom toward our material possessions, or we can love our material possessions and be unavailable for God. Our possessions are for the building up of the kingdom; the gospel challenges us to consider what is most important to us. Reflection on the gospel reading: Jesus is passing by, walking in the midst of what my grandmother might have called cases, people my contemporaries might call, real pieces of work, or what my nieces and nephews might call wild hot messes. Jesus is in the midst of the people of his day who in our day drive drunk and wreck cars, sell their bodies on the streets to smoke crack in alleys, fall in with the wrong crowd and get completely off track. And what does he say to these wild things as he passes among them? It isn’t, “You’re damned,” or, “You’re lost.” He doesn’t even say, “Repent and believe the good news.” He says simply, “Follow me.” He leads not by giving directions but by showing the way.